Ranching is part of my husband’s family tradition, but love and support (and vegan ice cream!) got him to adopt a cruelty-free life. When folks think of Texas Ranchers, generally they picture rugged cowboys who wear leather boots, drive a diesel pickup truck, and participate in their local Cattlemen’s Association. This stereotype used to describe my husband Tommy Sonnen, a Texas Rancher whose ranching heritage dates to the late 1890s, when his great-grandfather drove cows from San Antonio to their Houston slaughterhouse with whips, brands, and silver nickel spurs. But things have changed, and currently Tommy works for me as a volunteer at Rowdy Girl Sanctuary on what used to be his beef cattle operation. In May, my husband will be celebrating his two-year vegan anniversary. Changing my husband’s mind to think it was a good idea to eat plants instead of the Standard American Diet was not easy, but I did it. Here are the five hardest things I had to deal with as he transitioned from a Texas Rancher to a full-on vegan. When we met, Tommy was an avid hunter, and throughout the 1990s, our weekends and holidays were spent in West Texas, where he owned a hunting ranch. Similar to his ranching heritage, hunting was a family tradition, and it was difficult to get him to see that those deer heads on the wall had to go. Tommy considered them to be heirlooms and family relics that would be passed down generationally. Our first Vegan Awareness Festival & Fundraiser was in May 2015, and Kip Andersen volunteered to speak. I was mortified that Kip was going to come into our living room surrounded by death, so I prepared him and apologized for my husband’s “décor.” When Kip (and others at the event) accepted my husband for who he was and where he was in his life, something changed: he wasn’t judged or criticized. He was accepted and loved, which started him down his path of becoming vegan. 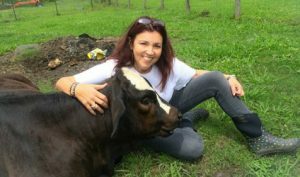 When I went vegan, nothing could stop me from converting our beef cattle ranch to a farm sanctuary. Tommy, however, was against the idea completely. So when I started telling him that animal products were forbidden in this house, I got his attention. Unfortunately, it was negative attention! Reluctantly, my husband agreed to watch the films Forks Over Knives, Cowspiracy, and Food Matters. The documentary that began to convince him was Forks Over Knives because he related to T. Colin Campbell’s The China Study due to his father’s heart attack-induced death at age 62. With a big sigh, he agreed to try eating my cooking. Enthusiastically, I began preparing vegan recipes—and because my husband was a big meat- and cheese-eater, I began experimenting with vegan meats and cheeses. He wasn’t eating animal products in the house anymore, but he didn’t like my cooking one bit. Each day I would say, “Well, what did you think of that?” Repeatedly, he would say, “I’m not going to lie, Renee—it tastes like crap!” He continued watching the videos, and something began to sink in about the addiction of meat and dairy. Getting him to understand that he was detoxing animal waste was not easy, but eventually it began to happen. Tommy loves his family. One of the highlights of our marriage has always been family gatherings, and when there are family gatherings, there’s lots of food. Generally, this includes barbecued meat, shrimp, oysters, fried turkey, big hams, creamy casseroles, and desserts full of milk, cheese, and eggs. To new vegans, it meant isolation. We’ve tried taking our own vegan food to family affairs, and it ends up feeling awkward and forced. We’ve tried eating whatever vegan food is being served, but we end up depressed and wanting to leave. The joy of being with the family during festive occasions has ceased. This issue has been the hardest. At times, Tommy feels like going vegan has separated him from his family, and in some ways, it has. It’s interesting how food either binds or separates us. Still, one holiday at a time, our vegan light will shine on those we love. 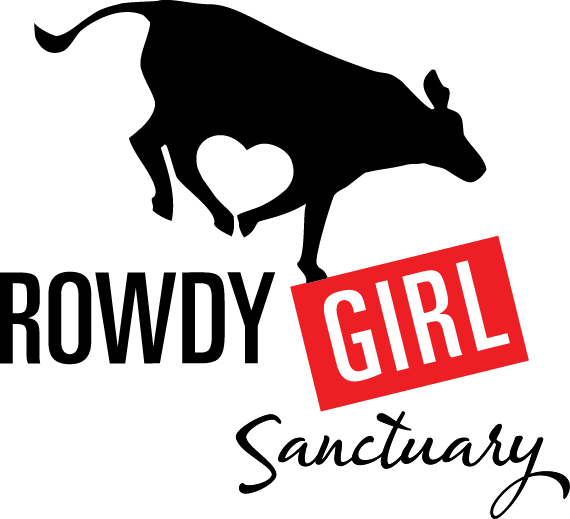 Renee King Sonnen is the founder and Executive Director of Rowdy Girl Sanctuary, the first vegan cattle ranch conversion in the country (and quite possibly the world).